The government proposes that properties bought as furnished holiday lets should be treated in the same way as all other residential properties – if the property is purchased as an additional property the higher rates will apply. There are lots of things you can do to save inheritance tax. The original owner must live for 7 years after giving the gift. Any gifts made less than 7 years before death count towards the Inheritance Tax threshold (£325,000). They count towards the threshold before the rest of the estate. If the donor gave away more than £325,000 of gifts in their final 7 years, tax is due on everything over that threshold. The rate of tax is reduced for gifts over the threshold made between 3 and 7 years before the person died. This is known as ‘taper relief’. The estate doesn’t pay Inheritance Tax on up to £3,000 worth of gifts given away by the deceased in each tax year (6 April to 5 April). This is called the ‘annual exemption’. Leftover annual exemption can be carried over from one tax year to the next, but the maximum exemption is £6,000. Certain gifts don’t count towards the annual exemption and no Inheritance Tax is due on them, eg gifts worth up to £250 and wedding gifts. You can’t give someone another £250 if you’ve given them a gift using a different exemption, eg the £3,000 annual exemption. The main rate of Corporation Tax has already been cut from 28% in 2010 to 20%, the lowest in the G20. It will now be cut again to 17% in 2020, benefiting over 1 million businesses. The NICs Employment Allowance was introduced in April 2014, for the purpose of supporting businesses and charities in helping them to grow by cutting the cost of employment. Eligible employers can claim the allowance, which reduces their Employer NICs bill by up to £2,000 a year. This is an ongoing allowance. Once an employer has claimed the allowance, they will continue to enjoy it in future years, without needing to do anything further. Over a million employers have benefited from the allowance since its introduction. This measure will increase the Employment Allowance by £1,000 to £3,000 from April 2016. This means eligible business and charities will be able to claim a greater reduction on their employer NICs liability. This is fantastic news for employers, but there is a potential sting in the tail. HMRC plan to exclude one person businesses! But many believe that HMRC’s plan won’t work because all you need to do is employ a family member or friend and then the one person should qualify for the allowance. The next measure of the Small Business Enterprise and Employment Act comes into force on 6 April 2016. You now need to start keeping a register of your people with significant control (PSC). From 30 June, you’ll start submitting this information when you file your confirmation statements, or when companies, LLPs and SEs are incorporated. What information needs to be recorded on the register? Every company will need a PSC register! When and how should you incorporate a business? 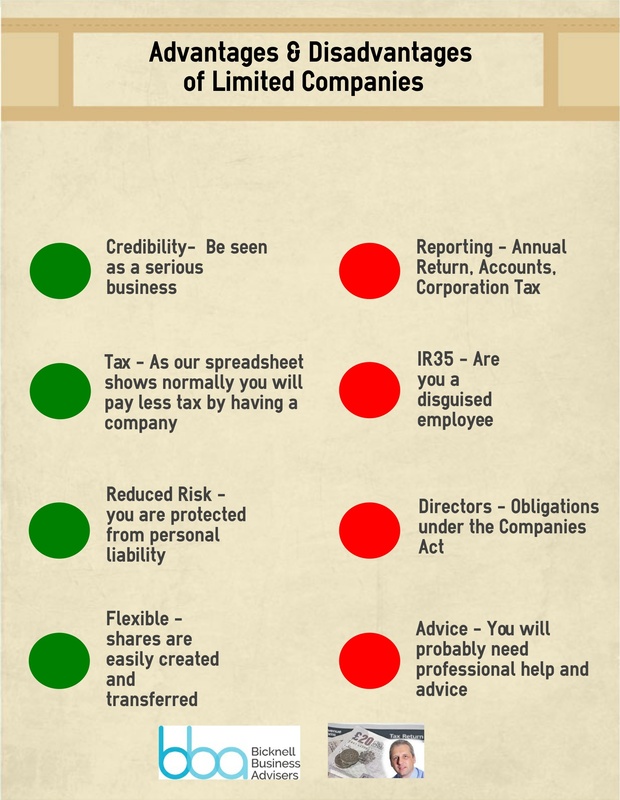 I have often heard sole traders say that it will cost too much to become a limited company. This is because many sole traders prepare their own accounts and do their own self assessment returns and are unaware that the cost involved in becoming a limited company really aren’t that high. The Incorporation Spreadsheet created by Practice Track is an Excel spreadsheet which shows the tax savings that are available to sole traders and partnerships if they chose to incorporate. It can also be used for incorporated clients to compute the taxes payable under the new dividend regime. It is therefore a useful tool to use for planning purposes for clients who are already incorporated and can reinforce the point to many clients that they are still saving tax by being incorporated. It also caters for salary and dividend profit distribution between multiple director-shareholders (up to six). The detailed output sheets are not password protected so you can insert extra calculations or override the formulae if you wish. There are three different ways in which the sole trader can be incorporated. It’s highly likely that Incorporation Relief will be the best way to incorporate in most cases, however, it is worth considering all the options when advising clients. Incorporation Tax will apply automatically unless the transferor elects for it not to in writing. All assets owned by the business (except cash) must be transferred to the limited company. The consideration paid for the business assets must be wholly or partly in shares. Example You transfer your business in return for shares worth £100,000. You make a profit of £60,000. You later sell the shares and need to work out the gain – their cost for your Capital Gains Tax calculations is £40,000 (£100,000 – £60,000). Example Your business is valued at £100,000 when you transfer it, and you receive 80% in shares (£80,000) and 20% in cash (£20,000). You made a gain of £50,000. You can postpone 80% of the gain (£40,000) until you sell the shares. You need to pay Capital Gains Tax on 20% of the gain (£10,000) in your next tax return. The official helpsheet with further advice is HS276. Holdover relief applies when business assets are transferred from an individual and avoids capital gains on the chargeable assets becoming immediately liable to capital gains tax. You sell a shop worth £81,000 to your brother for £40,000. It cost you £23,000. Include the £17,000 gain (£40,000 minus £23,000) when you’re working out your total taxable gain. This method is useful if you want to keep a property outside of the company and prefer instead for the company to pay a rent for the property. This will have certain tax advantages but it is important to note that this can mean that the owner will lose entitlement to entrepreneurs’ relief on the property, because the property would then be regarded as an investment property. Until December 2014, this was often the preferred option because Entrepreneurs Relief could be applied to gains and in many cases the company could write down the Goodwill against Corporation Tax. However, this option could still be worth considering. the acquisition of goodwill is done by way of a credit to Mr Smiths director’s loan account. Mr Smith is able to draw down on this account without any further tax charges. These considerations all show that incorporating a sole trader business is not only straightforward but can also greatly benefit the sole trader client both financially and in the potential flexibility it can provide for their business.